Law enforcement officials in California are calling on the public for assistance in tracking down a group of teens involved in a late December brawl at a McDonald's restaurant in Moreno Valley. 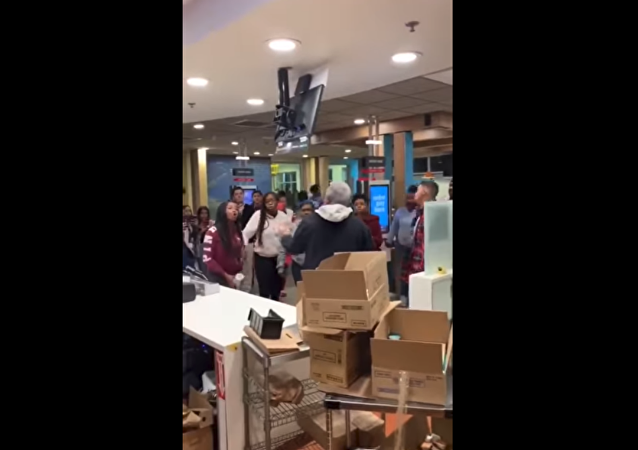 A viral Facebook video showing a McDonald's customer attacking an employee is causing outrage, with many netizens calling for the dismissal of the Florida restaurant's manager over his failure to intervene. 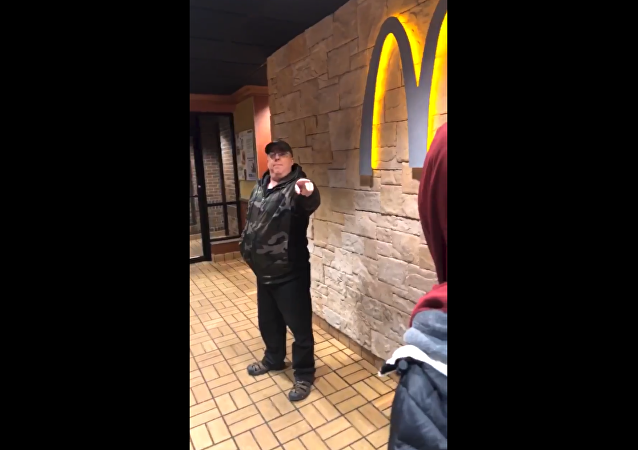 Recently surfaced cellphone footage shows the moment that a group of Muslim teenagers were threatened with a firearm at an Eden Prairie, Minnesota, McDonald's this week by a fellow patron following a verbal dispute. 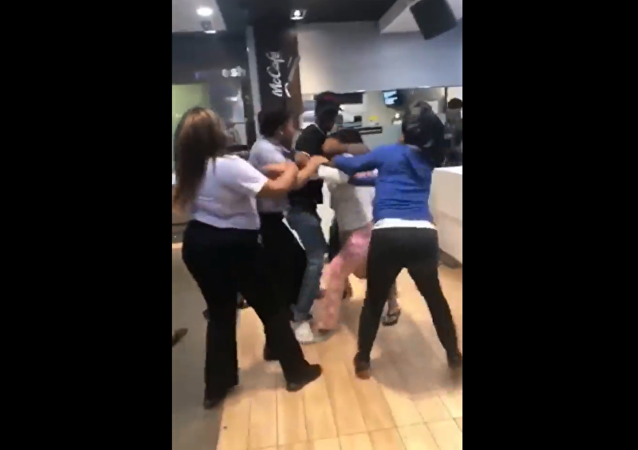 Recently surfaced cell phone footage shows the moment that two brawls unfolded at a McDonald's restaurant in Louisiana, with one involving a group four women and the other two men. California's Santa Ana Police Department released surveillance footage on Tuesday of a customer physically assaulting a McDonald's employee in an effort to get the public's help on locating the alleged offender. Not wanting the whole day to go to waste, a 19-year-old McDonald's employee in San Antonio, Texas, decided to rob a sister store last week after his manager sent him home for showing up to his first day of work late. A Oklahoma pooch’s love for McDoubles with extra cheese was exposed as her owner decided to put her on blast for pretending to be a stray in order to snag a few snacks from the restaurant’s patrons. Last year, the fast food network was already at the epicenter of a scandal over its failure to keep an ice cream machine clean after an employee posted pictures of mold and slime found inside it. 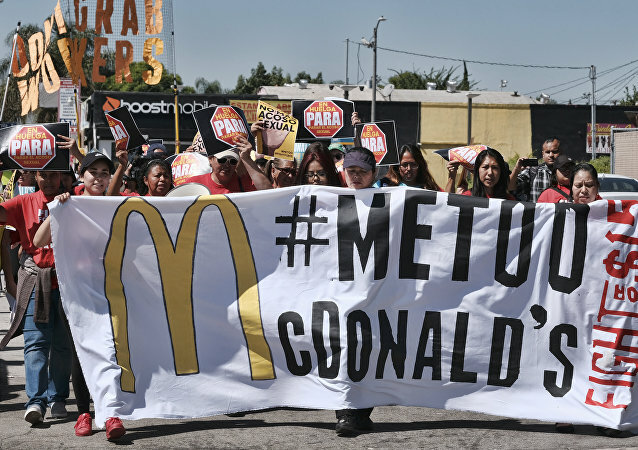 The world’s biggest fast-food employer faces charges from ten workers as hundreds of cooks and cashiers in ten US cities walked off the job on the first multi-state strike over harassment allegations. A Tennessee teenager was arrested and charged this weekend after threatening a McDonald's employee with a gun after his change was accidentally dropped on the ground. One of the world’s most iconic fast food joints, whose arches were once rumored to be more recognizable than Jesus’ cross, McDonald’s is the subject of a lawsuit alleging that millions of customers were improperly charged for cheese on their hamburgers they never ordered. Even though, aside from the United States, no other country is home to so many McDonald’s restaurants as France, some locals still prefer traditional French cuisine. 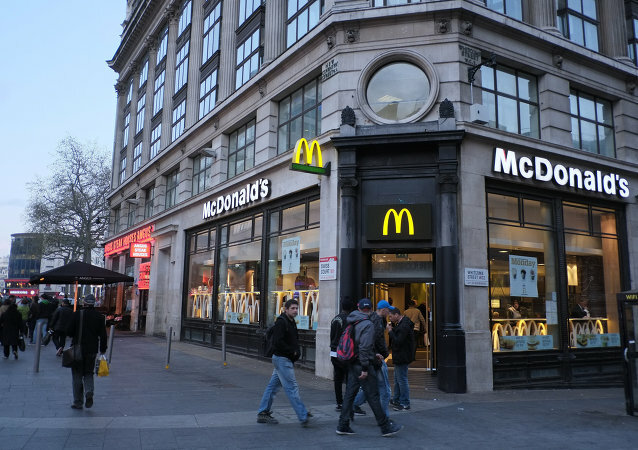 The fast food chain has repeatedly become the subject of customers' criticism in the past. But this time the client's discontent surpassed all possible boundaries. Members of the European Parliament are threatening to withdraw cooperation with huge multinationals such as Google, Fiat, Amazon, InBev, Ikea, HSBC, Coca-Cola and McDonald's for failing to comply with its investigations into tax avoidance. 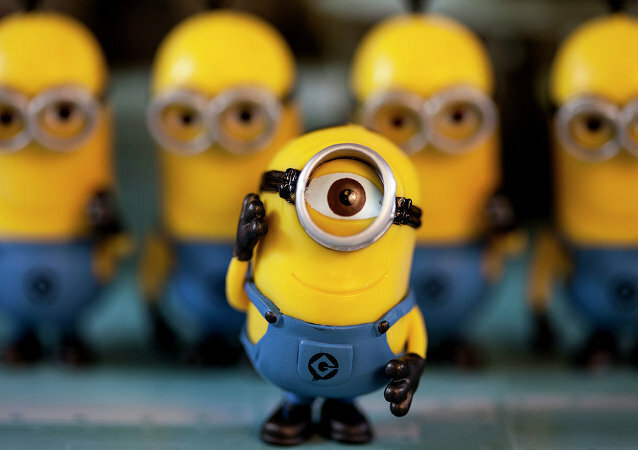 Part of what makes the little yellow creatures from the “Despicable Me” and “Minions” movies so hilarious is the complete gibberish and nonsense that comes out of their mouth. But according to some angry parents, the sound uttered by the McDonald’s Minion Happy Meal toy sounds suspiciously obscene. Members of the European Parliament have accused global giants such as Google, Fiat, Amazon, Inbev, Ikea, HSBC, Coca-Cola and McDonald's of failing to co-operate with, or being unable to meet with, the committee investigating corporate tax avoidance in the EU. 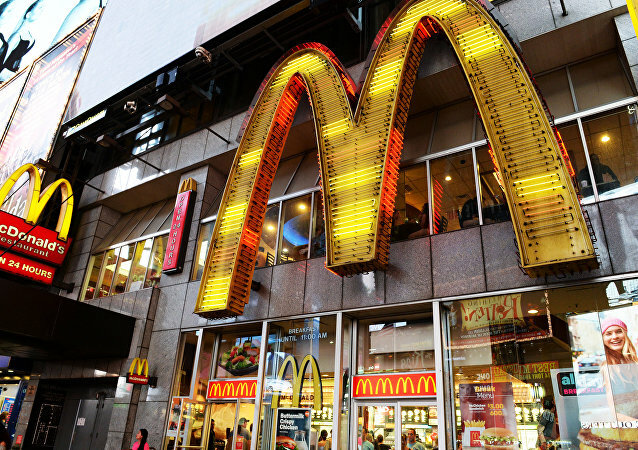 There may be fewer Golden Arches in the United States soon, with McDonald’s announcing that the number of its domestic stores has been shrinking for the first time in decades. Moody’s downgraded several of McDonald’s debt instruments by one notch, with senior unsecured debt moving from A2 to A3 and short-term commercial paper from Prime-1 to Prime-2. At the same time as the EU announced it was probing US fast food chain McDonald's over avoiding taxes in a deal with Luxembourg, regulators say they will miss a June deadline to decide whether Apple and Starbucks have also broken EU tax laws. McDonalds will reorganize and expand its market segments in an attempt to increase refranchising efforts and return billions of dollars to shareholders, McDonalds CEO Steve Easterbrook announced said in a statement on Monday.